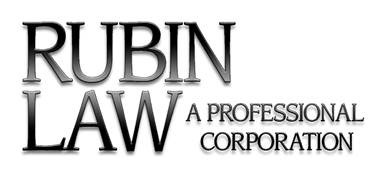 Attorney Brian Rubin, the founder of Rubin Law, a former IRS Agent and former IRS Estate Tax Attorney, has been a practicing attorney in private practice since 1978. He is the parent of three children, one of whom, Mitchell, has Autism. Brian�s law practice, since 1982, when Mitchell was one year old, has been dedicated to serving the legal and future planning needs of his fellow families of children and adults with intellectual disabilities, developmental disabilities, and/or mental illness. Brian has been elected as a Fellow of the American College of Trust and Estate Counsel (ACTEC) and has received the Martindale-Hubbell AV� Preeminent� Rating. He is President (2017-2018) of the Special Needs Alliance, the national, non-profit, association of experienced special needs planning attorneys (membership is by invitation only), served on the Special Needs Law Section Steering Committee, of the National Academy of Elder Law Attorneys, was a Charter Member of the Academy of Special Needs Planners, and is a Faculty Member and Text Book Author for the Illinois Institute for Continuing Legal Education (IICLE) on the topic of special needs legal and future planning, as well as a Speaker for the American Bar Association on those topics.